Outsource2india is one of the world's foremost mobile app development companies with clients ranging from Fortune 500 companies to startups. Whether you are looking for a native, custom, or hybrid app or want a cross-platform responsive web app, we are a one-stop-solution provider for all your mobile app development needs. iOS is one of the most popular operating systems across the world, and iPhone and iPad apps are just as popular as these sleek devices themselves. Our developers specialize in developing apps for iPhone, iPad, and iPod touch using both Swift and Objective-C. 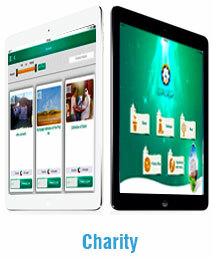 These apps can be commercial, free, enterprise or in-house apps, and are custom developed as per your requirements. Mobile App Development in India has seen a surge in business ever since Android came into the picture. Today, with a market share of more than 80%, the usage and demand for Android apps has also sky-rocketed. Our Android app developers are familiar with the latest versions of Android, and can leverage their knowledge in Java, C++, Python, etc. to get the best out of Android SDK and its development tools. At Outsource2india, we offer end-to-end solutions for universal Windows app development, including support for legacy Windows versions upon request. With Windows 10 being adopted at a faster rate than any other version of Windows, this is the right time to get into Windows app development. With expert knowledge of the modern Windows design language, combined with our experience with Visual Studio and .NET, we can help you create stunning Windows apps. Outsource2india has the best cross-platform mobile application development team which has the capability to provide the comprehensive mobile app development services for different platforms such as Android, iOS, Windows, etc. We also hold the expertise in providing innovative Mobile App Designs ensuring a faster time to market and better customer satisfaction. At Outsource2india, we follow a standardized mobile app development process to create functional and high-quality apps for our clients at affordable rates, within the predetermined budget and time-frame. Our transparent and agile process is appreciated for being customer-centric and can help you get your dream app to market faster. Read our detailed Mobile App Development Process. If you have an innovative app idea in any of the popular platforms like iOS, Android, Windows, etc., avail our app development solutions to develop a robust and innovative app and ensure maximum ROI out of it. We have worked with some of the best in the Industry. Take a Look! Whether you want to follow the latest iOS design principles, Google's Material Design Guidelines, or the modern design outlook of Windows 10, you are at the right place. Our app design services help you fine tune you app's design, define user flows, and create basic wireframes, etc. 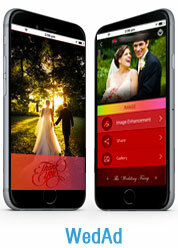 in order to create engaging, intuitive mobile apps. As mobile app usage becomes more pervasive by the day, your customers demand nothing less than a flawlessly working app. Our QA testers test your app under grueling real-world conditions, along with checking for usage patterns, device fragmentation issues, screen size scaling, etc. in a timely manner. Mobile app outsourcing is no easy task, and when you have to worry about cross-platform availability, further driven by business and commercial factors, you need an experienced mobile app porting service provider on your side. Not only can we port a single app for multiple devices and OS's, but also ensure their adherence to operating system guidelines at all times. We are one of the few companies to offer mobile-backend-as-a-service (BPaaS), providing you the much-needed freedom and flexibility when it comes to managing seamless API connection, Cloud integration, and managing push notifications, etc. Why Outsource Mobile App Development to O2I? Read how we developed customized and user-friendly iPhone app in Arabic to facilitate online payments in the real-time, and ensured quick and seamless migration of the client's website to the mobile app without any downtime. We have the expertise, infrastructure and resources to create innovative mobile apps across the mobility spectrum as per your exact requirements! 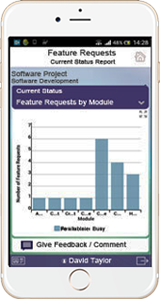 Contact our mobile app developers, and know more about our service offerings. 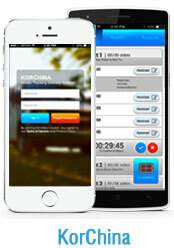 Need an ideal app customized to your requirements? Let's get in touch! Our mobile solution helped client track & control warehousing, inventory, and sales orders. This mobile app helps to access accounts, track shipments & get real time status update. We created a secure fund transfer and payment app for resource constrained devices.